Children facing cancer - whether their own, a family member's, a friend's, or even a pet's - will find help in understanding the disease through this audiobook. A young boy discovers his dog's lump, which is then diagnosed with those dreaded words: "it's cancer". The boy becomes a loving caretaker to his dog, who undergoes the same types of treatments and many of the same reactions as a human under similar circumstances (transference). 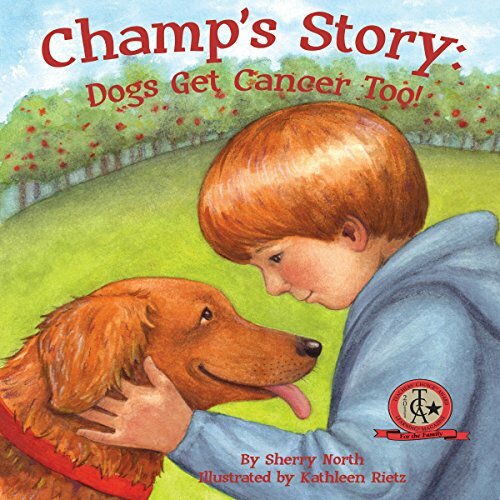 Medical writer and award-winning children's author Sherry North artfully weaves the serious subject into an empathetic story that even young children can understand.